Whether you are looking to upgrade your Kitchen or Bath with a new look or just trying to maintain your existing Plumbing System, we have a solution. Rooter Right is a one-stop shop for all things Plumbing. From complex projects in Commercial Settings, to simple repairs around the House, and everything in between, we have you covered. We combine Quality Craftsmanship with Quality Material providing our Customers with lasting Satisfaction. New Faucets can often provide a welcome change in the look of your Kitchen and Bathroom. With so many styles and so many brands the options seem nearly endless. Trust that the techs at Rooter Right are familiar with the latest styles and technology and can offer helpful guidance when it comes to choosing your new faucet. We do it all, we can help you make the right choice for your needs and perform a Professional Installation that keeps your Fixtures looking great and working great. Let us help you design your rain shower with options for wall heads, ceiling heads, handhelds, and more! Don’t let your Toilet cost you money you don’t need to spend. Just like any fixture in the home or office, your toilet is not designed to last forever. Often times your toilet will have tell tale signs that its time to be refurbished or replaced. Unfortunately, most consumers don’t know what signs to look for. Old flappers will allow your toilet to run constantly, running up the water bill along with it. Calcium Deposits can clog the jets underneath the rim of the bowl, when this happens your flush power is greatly diminished causing backups. Or sometimes that old powder blue or pea green toilet is just too tough to look at anymore. Let us help! We offer a wide variety of New Contemporary Styled and colored Toilets, along with good old fashioned white too. No matter the setting we have a Toilet to fit all needs, Residential Tank Toilets, Flush-mate Power Flush Toilets, Sloan Valve Commercial Toilets, and Urinals too! We also rebuild any make and model. New Appliances are a great addition to the home; make sure you protect your investments by having them professionally installed. We install all makes and models of Dishwashers, Garbage Disposals, Washing Machines, Dryers, Refrigerators, Water Heaters, and More. There is a big difference between having a professional installer, and an employee of the store you purchased your appliance from, Install your New Appliance. In most cases, there are changes that need to be made to the Water Lines, Gas Lines, or Electrical Connections to accommodate the needs of the new appliance. Whether it be different sizes in connections, different locations of connections, or even different material all together, we are equipped to make it fit. Expanding your space, changing the scenery, or just rearranging, all are great ways to breathe new life into your Home or Business. New Countertops, New Vanities, Appliances, or just new locations for your current household amenities; we have the answer for you. We can accommodate any change in any space; let the pros at Rooter Right help you in upgrading your Home or Business with the necessary changes that go with your new look or addition. We are equipped with the latest and greatest technical know how to modernize your look. New Faucets, New Sinks, New Laundry Rooms, New Kitchen and Bath Designs, we have your upgrade covered. 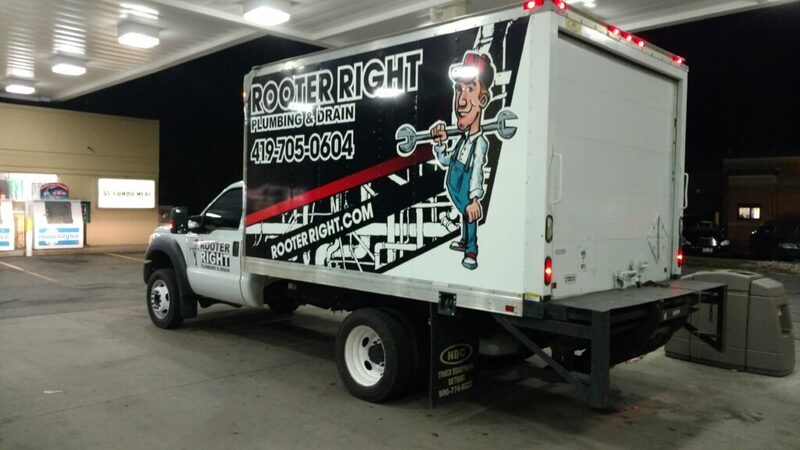 Rooter Right has a team ready to handle your construction project from start to finish. We will be there from the first shovel full of dirt to the finishing touches on the Sinks and Faucets. New homes and new Commercial Projects, we are equipped and capable of moving through your project quickly and efficiently while maintaining Quality and Attention to Detail. We offer Consultations and Free Estimates for anyone looking to start a building project. Local Contractors, performing Local Projects, promoting the Local Economy; Keep It Local, choose Rooter Right.